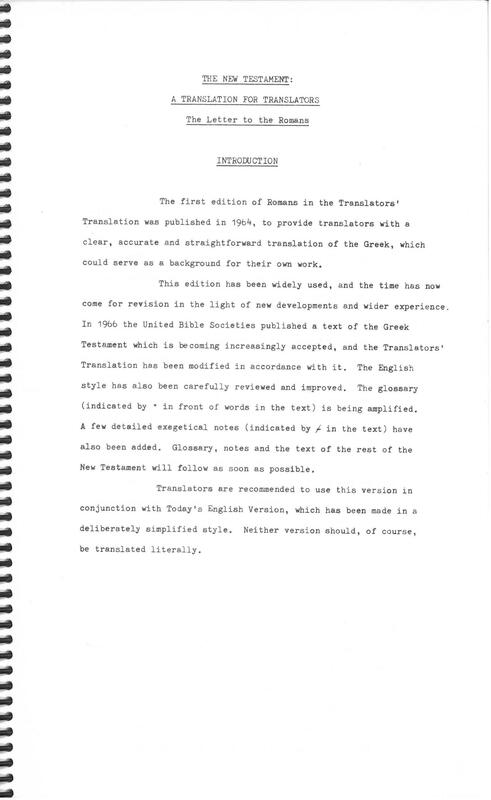 This is an intermediate version between the Greek - English Diglot for the use of Translators published by the British and Foreign Bible Society between 1958 and 1964 and the Translator's New Testament published in 1973. 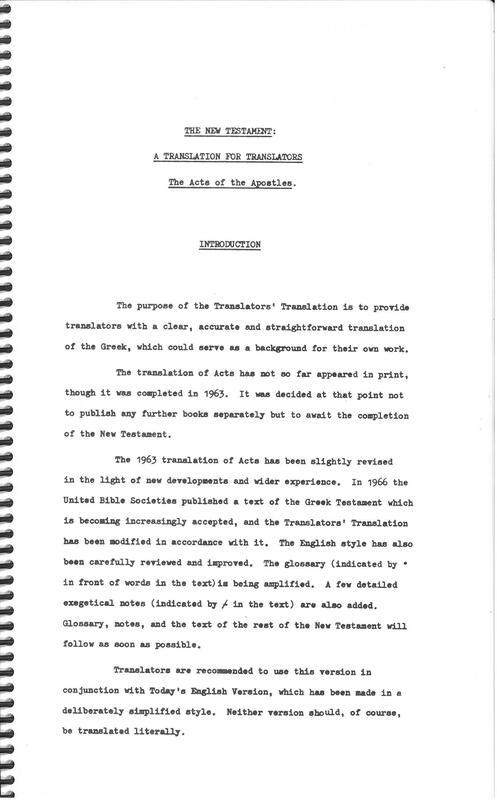 It used the Greek text published in 1966 by the United Bible Societies. According to Chamberlain 586-2, in addition to the volumes listed below, the following books were also published: James, First Peter, Second Peter, First John, Second John, Third John, Jude, 1 & 2 Timothy, Titus, Hebrews, Second Corinthians, and Revelation. 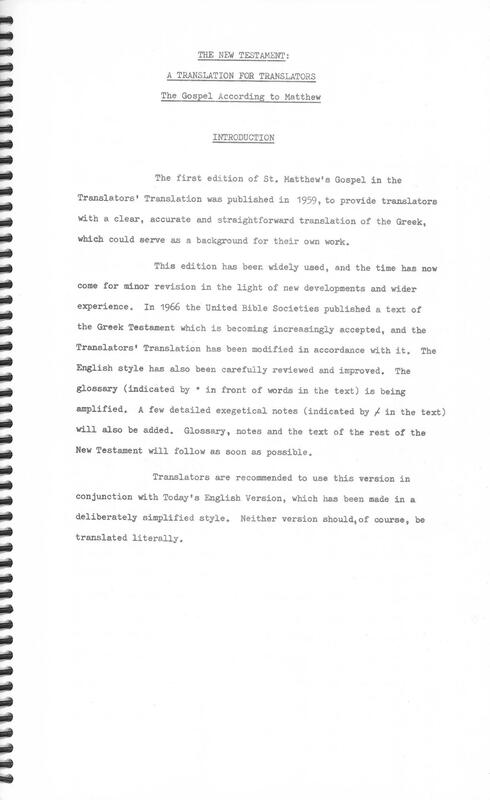 The dates given in Chamberlain 586-2 are clearly incorrect; the dates he gives are for corresponding volumes in the Greek - English Diglot for the use of Translators series. 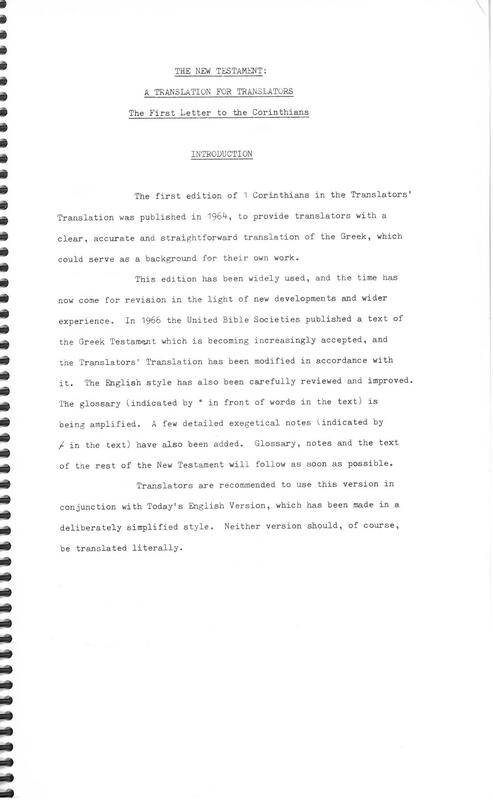 Click here for sample verses from the Translation for Translators. Title: The New Testament: A Translation for Translators The Acts of the Apostles. Contents: The First Letter to the Corinthians and Exegetical Notes. This volume is a set of double sided typed mimeographed sheets (about 8 x 13 inch) spiral bound together. 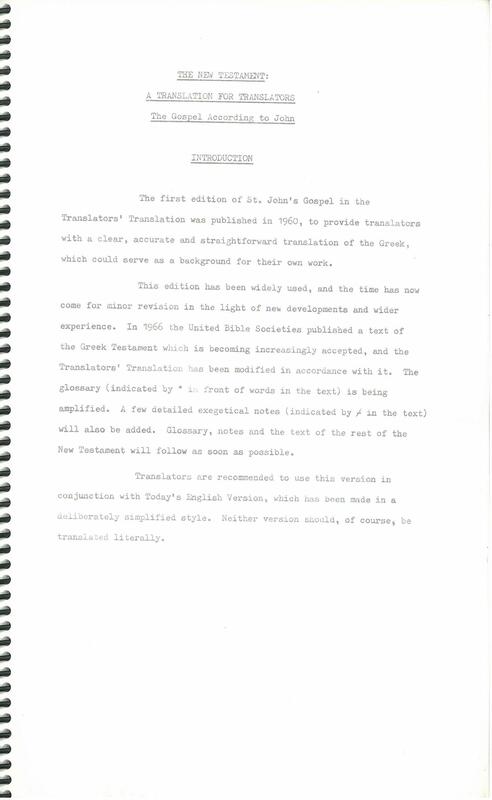 The text is arranged in paragraphs with each verse numbered. 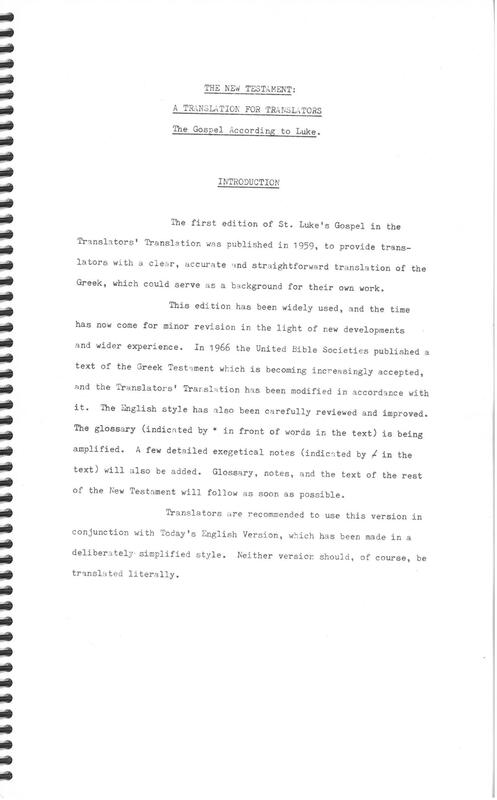 There is no title page that gives any date or publication information. 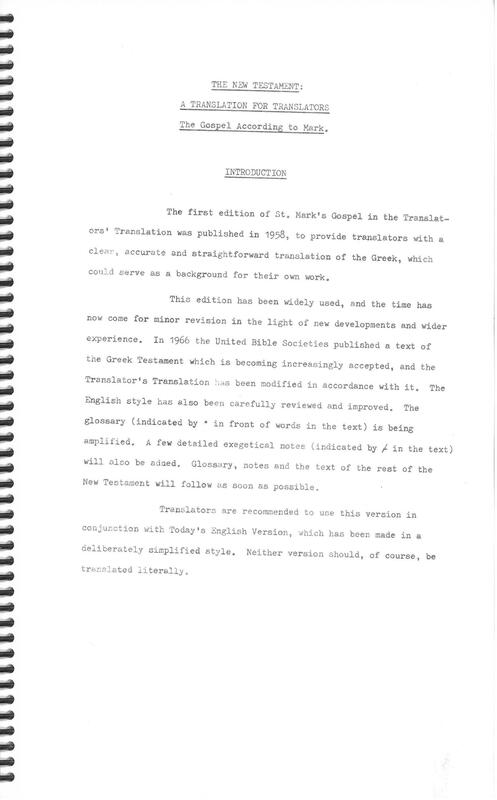 (Introduction, p.1-30 - Text of First Corinthians, p. 31-52 - Exegetical Notes).